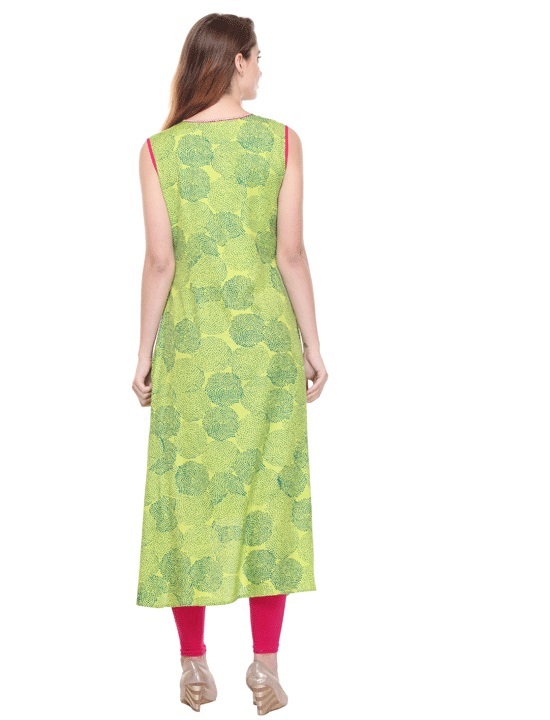 This pretty and trendy ladies long Green colored Rayon A-line sleeveless kurta ( also known as Kurtis) adds a modern touch to your ethnic wear tops collection. Rayon material of this Kurti will feel soft across your skin. 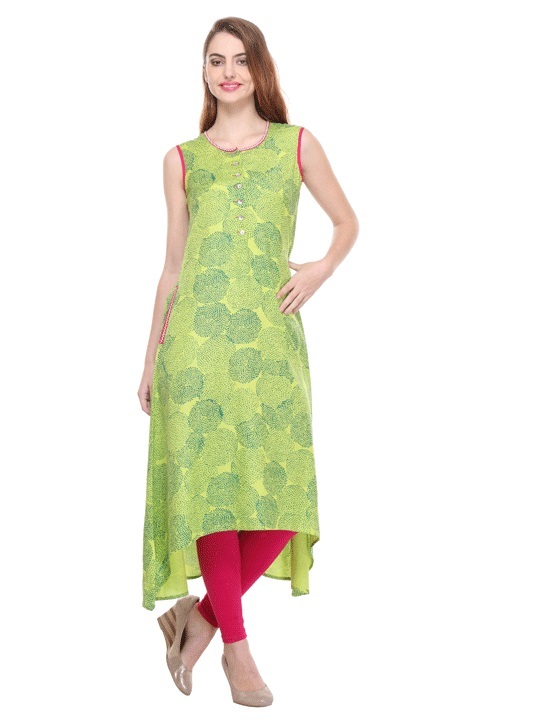 Look your stylish best in this A-line round neck kurta with latest printed design. Ideal as casual wear, college wear, office wear or as party wear Kurta . This Kurta comes in Medium , Large, XL, XXL size.